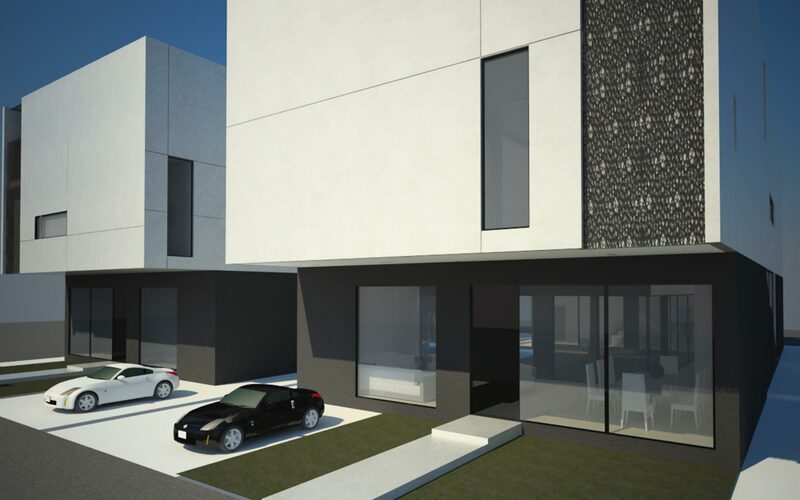 Located in a residential area in Riyadh, KSA, Al Waha Courts is home to two 600 sqm villas. The challenge of this project was to effectively respond to the program and the building regulations, while securing privacy from surrounding houses. 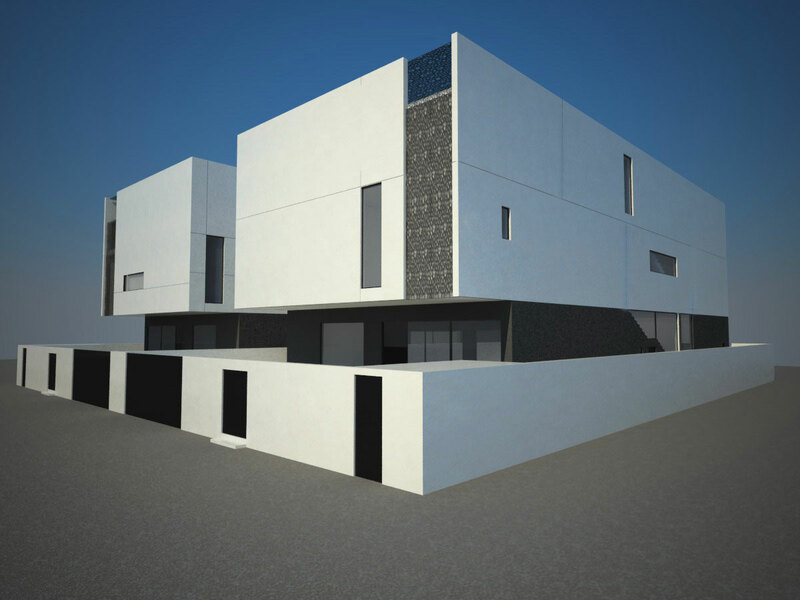 The overall concept was a modern interpretation of the traditional Arab house. 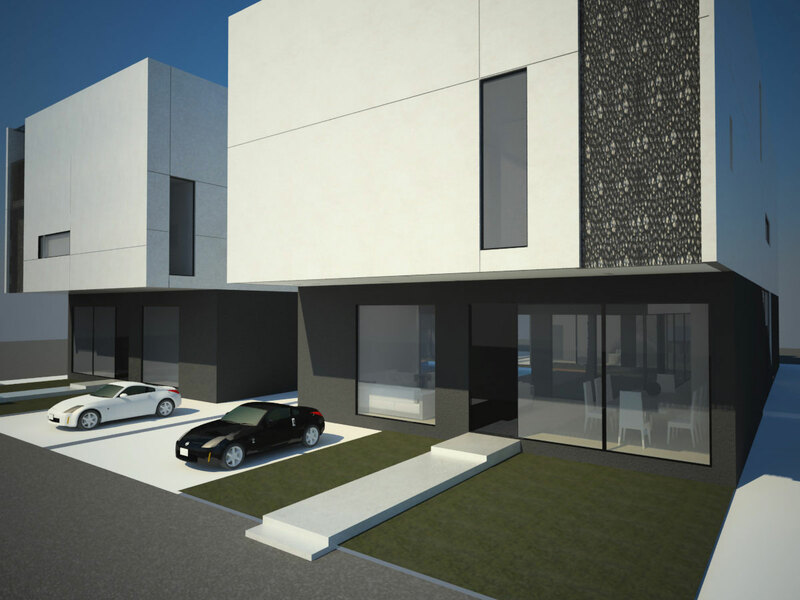 The social and cultural context of Saudi Arabia call for introverted architectural design. Each villa was divided into two volumes, linked by the circulation corridor in order to address privacy requirements for the family areas in relation to the reception areas. 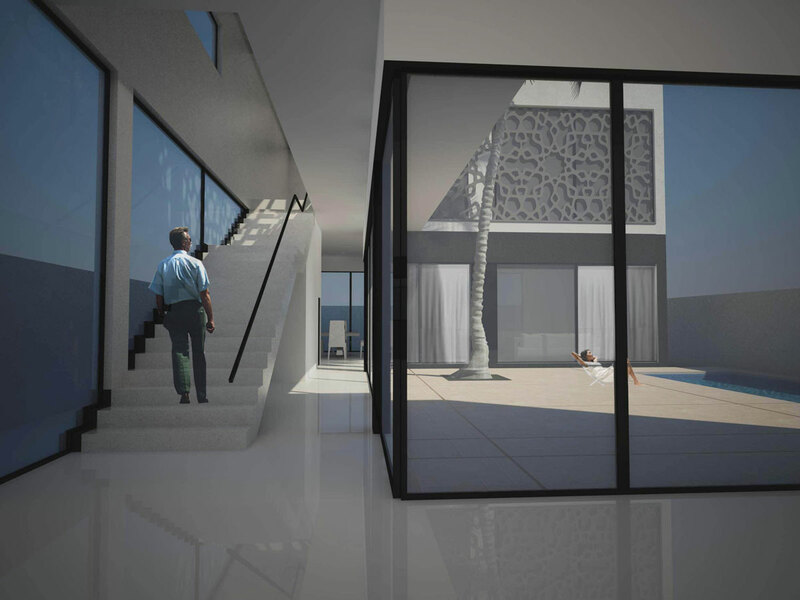 The U-shaped symmetry of the two villas creates an interior courtyard with gardens and sheltered swimming pools. The living spaces and bedrooms open widely into the internal landscaped courtyards, which make up the focal point of interaction. The external façade acts as a protective envelope with a few secondary openings. The treatment of the façade is simple and refined. 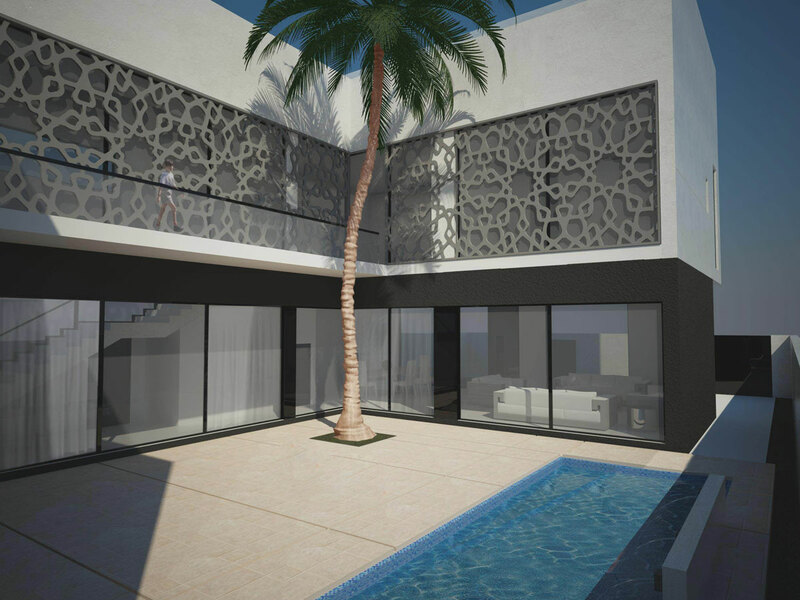 Metal mesh was used to recreate the mashrabieh patterns of traditional Arabic architecture.